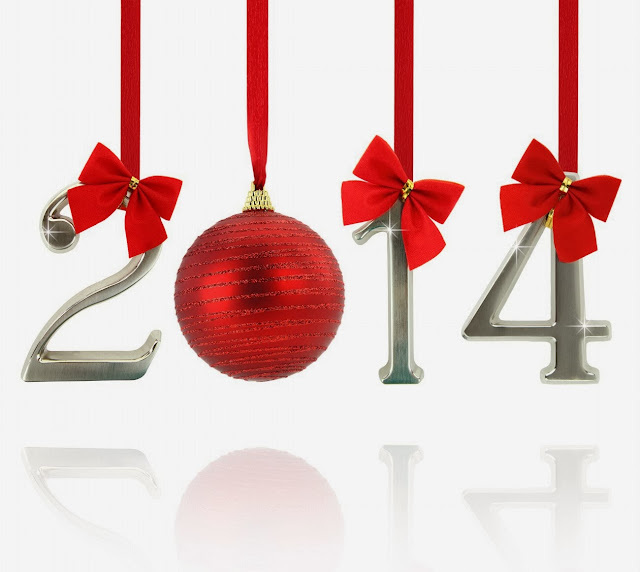 We are at the very first day of 2014 and let me wish you all A VERY HAPPY NEW YEAR 2014! May the year of horse brings you abundance of joy, happiness, great health and success. Let's be positive in every move and decision we make. Life is to be cherished, and let's just live it. Leave behind hatreds, jealousy and all negative thoughts. If you've been following me for 4 years now, you would have surely known my love towards fried chicken. 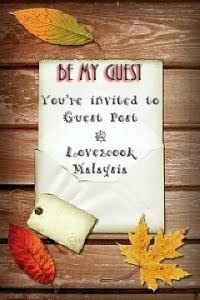 Why not, my blog has chicken recipes the most. It's very heartwarming to receive mails and messages from you, my dear readers requesting for more chicken recipes and also waiting for my blog to be updated. In a bowl, mix chicken pieces with all the ingredients, as per the order above. Marinade for 1 hour or longer. Heat sufficient oil in wok. Make sure the oil is hot enough but not smoky when you add the chicken pieces. Keep the flame medium. Throw some curry leaves in. Deep fry chicken pieces until cooked. Drain on a paper towel or best is on a wired rack. Serve while still warm. Enjoy!!! 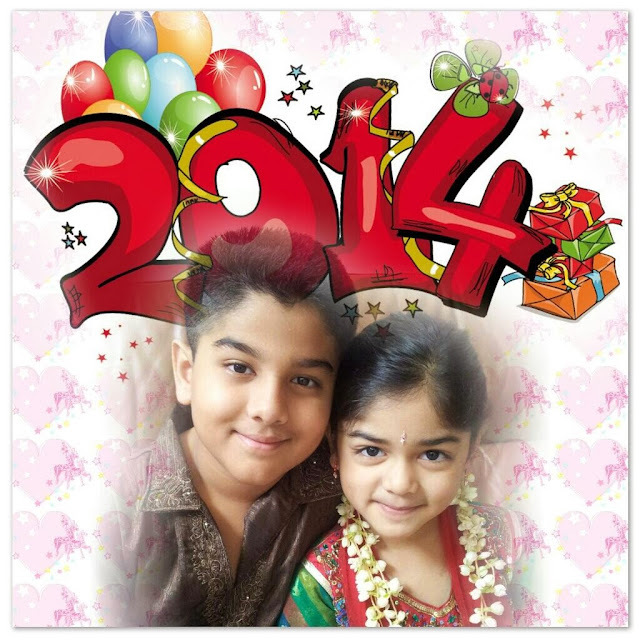 Hi Sri, HAPPY NEW YEAR to you and family. Arh... finally you posted something finger licking good. Wowoooo..... I need 2 pieces please!!! Oh no, your fried chicken is so tempting and I am already drooling.... Would like to cook this as soon as possible but not at the moment as have not been feeling well. Well, am not going to miss this recipe...BOOKMARKED!! Thanks so much for sharing, dear. 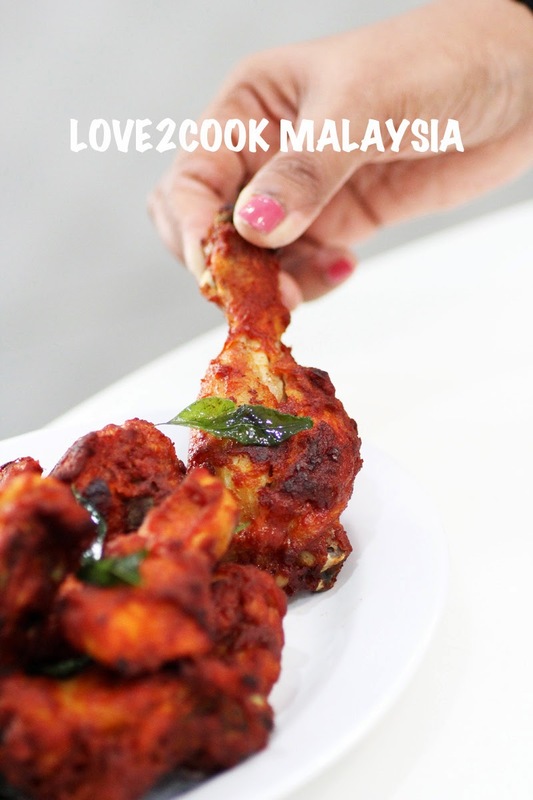 Shall try this Chicken fry this weekend for my lovely boyz... Meanwhile i had try ur Chicken Kurma recipe few days ago, Hubby & my 2 boyz really like it..
Hello Sitra, Happy New Year to you! Aiyoooooo,,,,,,,,,,,,,,Cannot tahan lah, Sri! That drumstick is calling my name! Oh, almost forgot, chicken punya pasal - Happy New Year to you and your beautiful family, Sri! Spicy Ginger chicken looks very appetizing...bright and looks yummylicious..